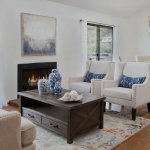 It’s a plain, simple fact: staged homes sell faster. Studies have found that staged homes often sell in less than a fifth of the time it takes unstaged homes to sell. And having a home sit on the market for a long time is bad news indeed. The problem, though, is that professional staging can be very expensive. Consider these 5 frugal ways to stage your townhouse for sale in Tampa Bay. One of the most impactful of the 5 frugal ways to stage your townhouse for sale in Tampa Bay is to use decorative displays or vignettes. It doesn’t cost much, and it takes very little effort. Such displays can give your townhouse a cozy, inviting feel to put potential buyers in a more receptive mood. These can include baskets, books, plants, or vases strategically arranged on bookshelves, dressers, and counters. Most staging experts advise keeping colors within the same family and using an odd number of objects of different shapes and heights. The bathroom is a small area, and whatever staging you do there will show up well. Start by putting away all those toiletries strewn around, and jettison that ugly shower curtain and those mismatched towels. To give your bathroom an inviting spa-like look, use white linens and white shower curtains and bath mats. Don’t make the mistake, as many people do, of putting all your staging effort into the larger areas. This one of our 5 frugal ways to stage your townhouse for sale in Tampa Bay involves no expense, only a little elbow grease. Don’t leave the main living area or living room empty or close to empty. Buyers need to be able to envision their furniture and belongings in the room, and an empty room gives them no point of reference to be able to do that. When people enter a room, they usually scan it from left to right. So to make the room seem larger, put the tallest piece in the far left corner. Most of the time, preparing your townhouse for sale involves painting a few walls or rooms. When you do, to achieve the proper staging effect, avoid bright colors. The goal is always to make your home appear as a blank canvas that buyers can visualize as their home with all their stuff in it. Staging professionals, then, recommend using neutral hues and tones to achieve that effect. Good color choices (in Benjamin Moore paints) are Linen White, Shaker Beige, Mellow Yellow, and Jackson Tan. If you prefer another brand, you can always have the paint store match the color. Remember, one of the chief goals of staging is allowing prospective buyers to see your home as their home. So, obviously, you need to remove everything that imposes your personality on it. Take down family portraits and put away personal objects and mementos. You can put in their place inexpensive canvas artwork or reproductions of landscapes and floral motifs. Doing so will give your townhouse a feel that isn’t peculiarly yours, and these will show well in listing photos. So give these 5 frugal ways to stage your townhouse for sale in Tampa Bay a try. It doesn’t cost much, it’s definitely worth the small amount of effort, and it just may result in a much quicker sale. And there’s, even more, you can do to get a better offer and speed up the sale. TO LEARN MORE ABOUT SELLING YOUR TOWNHOUSE, CONTACT US BY PHONE AT 1-800-OUT-FAST OR FILL OUT THE ONLINE FORM.